Welcome to the hilarious and magical world of Bristol childrens entertainer The Great Jaydini. Thanks for stopping by! 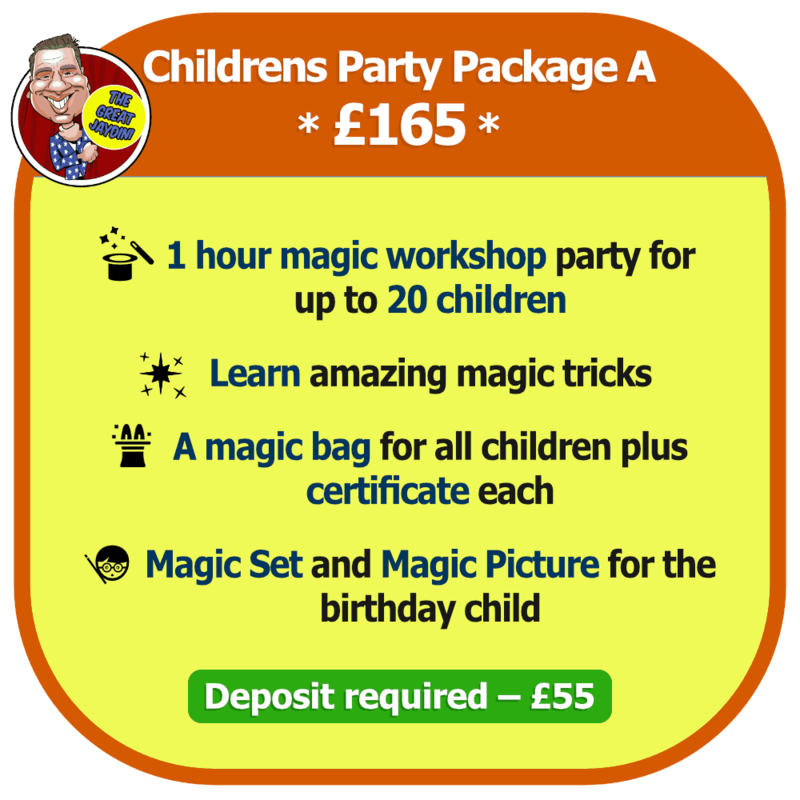 A childrens entertainer based in Bristol I was passionate about magic from an early age and I became a full time childrens entertainer in 2008. 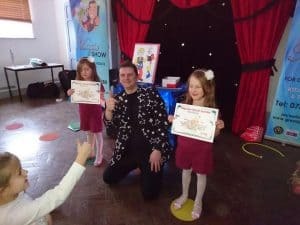 My interest in becoming a childrens magician started in 2007 when my wife and I went to a magic bar in Bristol and got hooked watching magicians doing close up magic. After perfecting my craft I started performing as a childrens magician at The Bristol Childrens Hospital to brighten up their day with magic and comedy. My niece thought of my professional name (a pun on my real name) and The Great Jaydini was born! My heroes and influences into my shows are The Marx Brothers, Tommy Cooper, Paul Daniels, Laurel and Hardy and Harry Houdini. I now perform all over Bristol and the South West at birthday parties, weddings, schools and theatres. Abracadabra, abracadoo – The Great Jaydini doing magic for you! I’m based in Downend, Bristol but can provide my unique blend of childrens entertainment across all of Bristol and the surrounding areas such as Swindon, Cardiff, Bath, Chippenham, Gloucestershire and Somerset with no travel time payments!!! 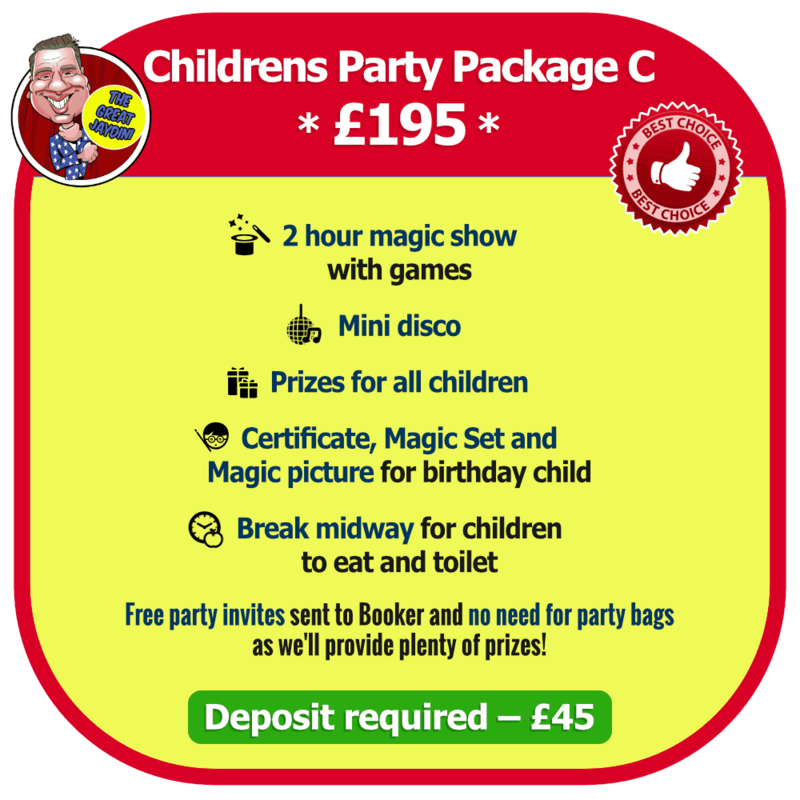 My exclusive childrens party packages include an amazing mix of magic, music and comedy which will delight children from the ages of 4 to 12. 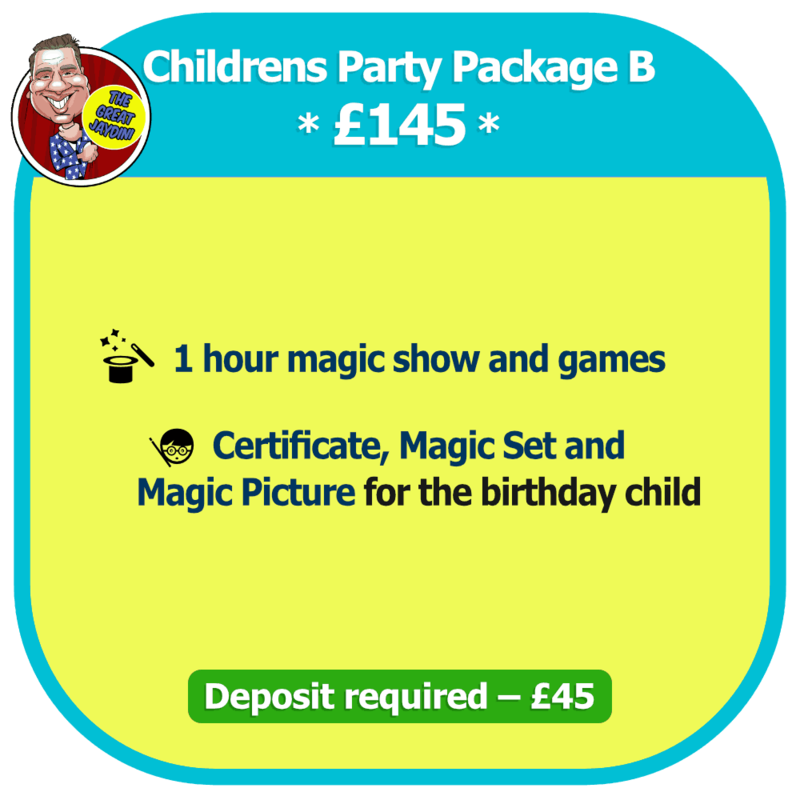 For more information on my packages please see my children’s party packages page. I get booked up very quickly so please submit your enquiry today!